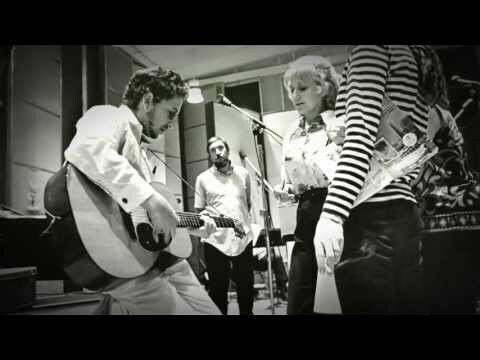 FolkWorks - WHO WROTE COPPER KETTLE? That same year, 1962, Baez released this album, The New Lost City Ramblers released American Moonshine & Prohibition Songs with 17 songs on it, but no Copper Kettle. I just researched Copper Kettle and I am inclined to believe the Wiki link's section on Seeger's employee Frank O. Frank having given it to them years before Beddoe claimed to have penned it. See what you think. Who in their right mind would want to get in the middle of a literary dispute between the late King and reigning Queen of folk music—Pete Seeger and Joan Baez? Not me, I can assure you. But I didn’t seek out this assignment—it fluttered through my window like a Phil Niekro knuckleball. In 1946, a tall awkward man came upstairs to the offices of People's Songs and offered to help with the typing. The offer was gratefully accepted. Three days later, we asked his name. But what's your last name? Just Frank Frank? No middle initial? So, Frank O. Frank came to help us, and invaluable help it was, too. A few months later, he said that in his home county, Bexar County, Texas, were some fine songs, and that he had mimeographed a collection of them. Later, it appeared that many were rewritten by him, and some were almost totally original songs, but in any case, they went from hand to hand, and some people sing them now as old folk songs, such as "Get You a Copper Kettle," "See Them Buzzards," and "Quantrell Side." Good songs, folk or Frank. Sir: I am extremely thrilled that you printed my song in your folk singing article. 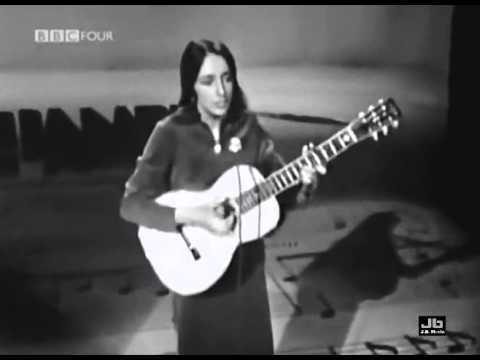 I love music and Joan Baez. Copper Kettle was written in 1953 as part of my opera Go Lightly Stranger. A. F. BEDDOE, Staten Island, New York. "Frank" in Seeger's employee's first and last name, also happens to be the middle name of Albert Frank Beddoe. I find that curious. Also, I have quite a few of the original volumes of People's Songs--including the People's Songs Bulletin from 1946-1949. It doesn't include Copper Kettle, though it primarily features folk and folk style songs over political/labor songs. Since Seeger dates this interaction to 1946 and it seems to have made an impression on him I also find it curious that "Frank O Frank's" song would not have been included at that point. What I am hinting at is that there does not seem to be a Seeger reference to the song that predates Joan Baez's 1962 recording attributed to Albert Frank Beddoe. And I think it is also clear that Dylan—whose version is on Self-Portrait from 1971—would have learned the song from Baez and not the other way around. Therefore, at this point, and again I want to emphasize that I don't think of this as in any sense conclusive, I regard Baez's attribution as the one that would have to be disproven--and thus far I don't think it has been. I will continue to investigate when I have further time and again thank you for calling it to my attention. Bexar County, Bexar County: where have I heard that name before? Ah yes, that was the home town of Pete Seeger’s source for the same song—Frank O Frank: “he said that in his home county, Bexar County, Texas, were some fine songs, and that he had mimeographed a collection of them.” It was getting curiouser and curiouser. But the ice was starting to melt. Then I wondered how many different claimants to the authorship of one song would be likely to have hailed from the same obscure county in Texas—Bexar County? But apparently, that is where both Albert Frank Beddoe and Frank O Frank called home. And then I remembered something else I learned in graduate school—from my late mentor and Dissertation Director Prof of Rhetoric John Macksoud, author of Other Illusions (Purdue University Press). It follows as the night the day that, according to Occam’s Razor, Baez’s Bexar County author of Copper Kettle Albert “Frank” Beddoe and Seeger’s Bexar County author “Frank O Frank” are one and the same person. A. F. Beddoe’s letter to Time Magazine identified his residence as Staten Island, New York. So had he not lived in Manhattan in 1946—home of People’s Songs—he would have been able to take the Staten Island Railway and transfer for free to the NYC Subway or the MTA bus system. There is only one problem with this scenario—and though I tried to ignore it my academic training kept gnawing at me: Though Pete Seeger’s book—which recounts his brief time with “Frank O Frank” in People’s Songs in 1946—was published in 1972, and 1972 is therefore the date on Bob Dylan’s web site which reprints the entire passage about this possible alternative author of Copper Kettle—despite the fact that Albert Frank Beddoe’s name is at the top of the section which reprints it—Pete Seeger did not write this in 1972. For the book The Incompleat Folksinger by Pete Seeger, Edited by Jo Metcalf Schwartz, is not one continuous manuscript; it is a compendium of essays and Sing Out! columns Pete wrote going back many years—and I wondered whether he might have written it before Joan Baez recorded Copper Kettle in 1962, or published her songbook with the relevant head-note cited above in 1964. To be sure I had to consult Pete’s actual book—not the on-line excerpt at Wikipedia or Bob Dylan.com. And sure enough, upon doing so I learn that this column was written and first published in the September, 1965 Sing Out!—three years after Baez released it with the authorship credited to Albert Frank Beddoe, and the year following the publication of her songbook with the reference to Bexar County, Texas as Beddoe’s hometown. This is crucial to my argument: Pete Seeger thus never mentions “Frank O Frank” or the People’s Songs anecdote involving his “little known” songbook edited in Bexar County, Texas until after he would have learned about Albert Frank Beddoe and Bexar County from Joan’s recording and subsequent songbook. It is therefore overwhelmingly probable that Pete’s office assistant “Frank O. Frank” and Joan’s source for Copper Kettle, Albert Frank Beddoe, are one and the same person—and that Pete fully intended his remarks to be taken as a gloss on this coincidence. Thus, there is no “other” author of Copper Kettle; and this “disputed authorship” is not disputed at all; Albert Frank Beddoe wrote the song. Finally, and this is an educated guess, not a recommendation in logic, I would speculate on why A.F. Beddoe might have been reluctant to use his real name when he first entered the offices of People’s Songs and came to Pete’s attention. People’s Songs was a known “communist front,” and I have known other members in years following who adopted a pseudonym or nom de plume to avoid scrutiny by Red Channels—who blacklisted many folk performers during the red scare of the late 1940s and ‘50s. My guitar teacher Ernie Lieberman became Ernie Sheldon when he joined first the Limelighters and then The Gateway Singers. Abel Meeropol, author of Strange Fruit and the lyrics to The House I Live In (with music by Earl Robinson) and adoptive father of the orphaned sons of Julius and Ethel Rosenberg, became the Hollywood songwriter Lewis Allen. And Albert Frank Beddoe became Pete Seeger’s office assistant “Frank O Frank,”—on the long and winding road of the Old Left’s contributions to the history of American folk music. If you’re looking for horses, not zebras, there he is. God bless them all—each and every one of them. The King is dead. Long live the Queen. Kudos to Shae D’lyn for bringing this engaging question to the attention of FolkWorks. Ross Altman will perform in the 2017 RePete—their fourth annual tribute to Pete Seeger at Theatricum Botanicum, Saturday April 1, 2017 at 1:00pm, 1419 N. Topanga Canyon Blvd, Topanga Canyon 90290; 310-455-3723 . The Joan Baez Songbook, Ryerson Music Pub. NY 1964.